I am needing to invoice a person (lets call him Tom from the finance department) from Company X in the invoice. Right now under contacts I have a company called CompanyX at an address: 123 Big loop Rd. Under CompanyX I have Tom assigned as one of the people and he only has an email field filled out. In the Invoice I have set the Client as " Tom Ginsberg" instead of "Company X" since it is addressed to him. How do I pull the company information Tom is assigned to? I have tried a few variations to no avail. Any assistance would be appreciated. Your easiest bet would be to modify the text inside the invoice's "address"
with templating and variables at all. the address the same way for each of them. with option 2 let me know and I'll type out an explanation. Having to manual add the address every time is not something I want to do. Happy to have them apply to all invoices. The first is that if you issue an invoice to a company, you can't access who the invoice is generated for when sending. This would prevent you from referencing specific people within that company in the "address" block. The second issue, is that by default our templates use the variable "invoice.address", which is auto-generated by the system using the defaults that most of our customers want. To get around this you'll have to use the system in a smart way and also modify your templates somewhat. 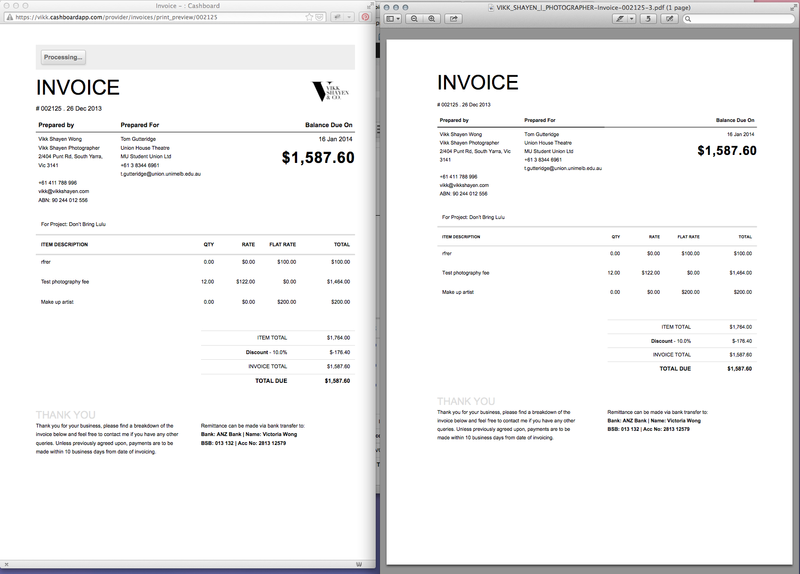 Modify your invoice template to use a special "include" that shows the client's address how you want it. This assumes you're storing your contact's name in custom_1, and "finance department" in custom_2. Keep in mind that this would print out the same for ALL your invoices, regardless of who you are sending it to. You can get around this by creating additional invoice templates, as you've done with html_invoice_2, 3, etc. I know that's a bit convoluted, but hopefully it sheds some light into the process. Let me know if you need further clarification. could pull that information in the template when invoicing the individual. Perhaps this could be my suggestion for the suggestion box! Thanks for taking the time to help with the code. It seems that I have assumed that fact that you can assign companies to people meant that we could pull that information in the template when invoicing the individual. Perhaps this could be my suggestion for the suggestion box! There are some technical issues here that I won't go into which prevent that from happening currently. We haven't had enough requests to solve that particular problem yet, but I understand where you're coming from. On another issue which I couldn't fix was that I couldn't get the logo to show up in the PDFed invoice. The issue here is again (a stupid) technical problem which we need to solve. For the PDF process to work properly, we have to have the images local on our server. This is the reason we have you upload em. I went ahead and uploaded / linked your PNG file, so you should be good to go. My apologies for the rough edges. The templating features need a lot of work and will get some of these things smoothed down fairly soon. In particular, uploading a logo needs to be way more simple, and we will soon have a variety of pre-planned templates that people can choose from. No, that's not the right code. Look at the "html_invoice" document I edited. It has the correct code. Cashboard is continually a work in progress, and we're always trying to improve it. Thanks for the support and your comments.